GLENDALE, Ariz. -- It's OK, Carolina, you can open your eyes. An unwatchable game turned into a beautiful night for the Tar Heels, who turned a free-throw contest into a championship they've been waiting an entire year to celebrate. Justin Jackson delivered the go-ahead 3-point play with 1:40 left Monday and North Carolina pulled away for a 71-65 win that washed away a year's worth of heartache. It was, in North Carolina's words, a redemption tour - filled with extra time on the practice court and the weight room, all fueled by a devastating loss in last year's title game on Kris Jenkins' 3-point dagger at the buzzer for Villanova. Most of Roy Williams' players returned for another run. To say everything went right for them at this Final Four would not be the truth. 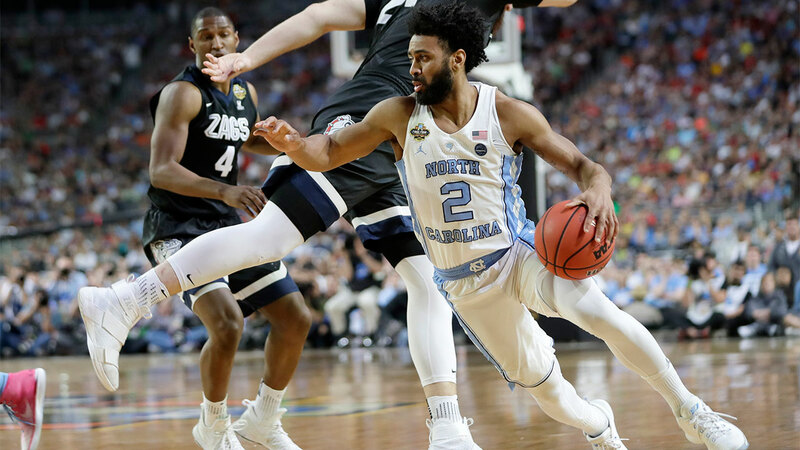 The Tar Heels followed a terrible-shooting night in the semifinal with an equally ice-cold performance in the final - going 4 for 27 from 3-point land. Jackson took a zinger of a pass under the basket from Theo Pinson and converted the shot, then the ensuing free throw to take the lead for good. Moments later, Goss-Williams twisted his ankle and could not elevate for a jumper that would've given the Bulldogs the lead. Isaiah Hicks made a basket to push the lead to 3, then Kennedy Meeks, in foul trouble all night, blocked Williams-Goss' shot and Jackson got a slam on the other end to put some icing on title No. 6 for the Tar Heels (33-7).